Finally you can throw away all your rock climbing guidebooks and smart phone, a new guidebook to all American climbs is being published soon. The perfect gift for somebody you love, and a way to get kids from using their smart phone all day long. We are taking pre-orders soon. We are reducing prices to reduce inventory, please sign up for weekly email sales. Books are deleted when sold, so the best way to get them is to order from our emails! Liquidation does not mean we are going out of business, we will never stop selling books while we are able. Liquidation mean we are trying to sell all our inventory at whatever prices are necessary to do that. Like most pre-internet booksellers we have been buying books as if the book business would stay strong, and I would live forever. Well, it didn't, and I won't. So here we are with tens of thousands of books. We realized that we had to start accelerating the rate of selling books. That means lowering prices, and opening those those dusty boxes of books in our warehouse. 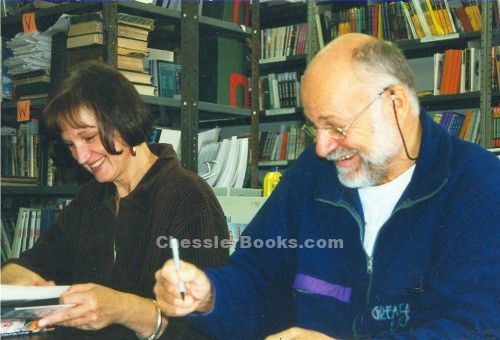 We also put on more staff so we could attract book lovers who could do my job, which is describing our books. It is working. We are currently selling a lot of books, and we will not be closing our bookshop. I do not foresee running out of books. If we do, we will start buying again. 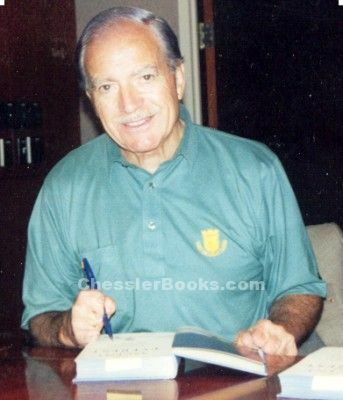 Every week we send an emailed list of Sale Books at sharply reduced prices. Please sign up for our mailing list (see below) as there is no other way to know what we are putting on sale, or when we are sending emails. Customer response has been terrific. The only way to get the great books at bargain prices is to get our emails. Many books sell out within 12 hours! Over the last fifty years we have accumulated a gigantic stock of mountaineering books, mostly used, but many new as well. 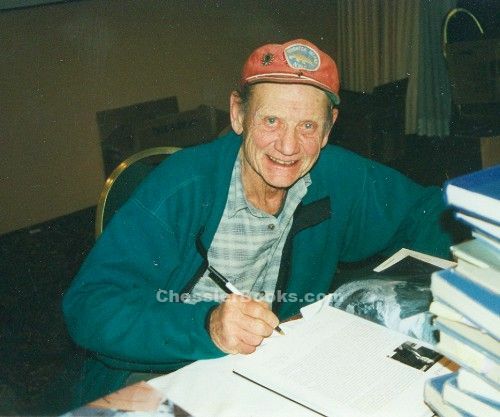 Also, thousands of our books are autographed by the great names of 20th century mountaineering. We also have lots of rock climbing and mountaineering guidebooks (new and used), climbing magazines and club journals, topographic maps, rare collectible maps, climbing hardware, nailed boots, wood handled ice axes, ephemera, art, photographs, posters, lithographs, signatures, plus books on Polar Exploration, Tibet, adventure travel and similar subjects. We are now liquidating this climbing book and collectibles bonanza at prices unseen since the 1960s. Please get on our mailing list! PLEASE ADD YOUR NAME TO OUR MAILING LIST, AND CLICK ON NEW ARRIVALS (On top of every page) EVERY WEEK TO SEE WHAT HAS BEEN UPLOADED. Please be sure to join our mailing list as we announce a new selection of 50-100 books every week. If you click on the SALE buttons on top and/or left side of every page, almost every sale item will show. There is also a separate Sale button under DVDs, and $10 & less. If you need help, just e-mail or call us. Contacts on the left of this page, below. BOOKS AND ICE AXES WE OFFER AUTHENTIC? Books and Ice Axes are real?" caught on camera with PEN IN HAND! 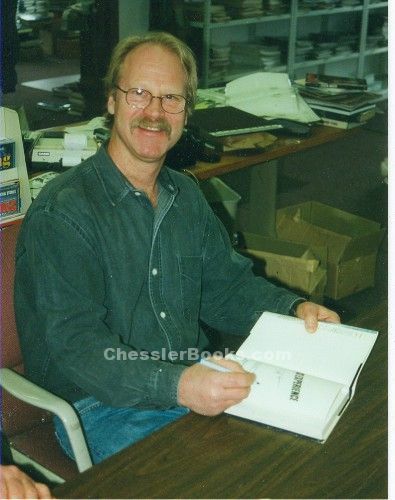 The photos were all taken by Michael Chessler or an assistant. 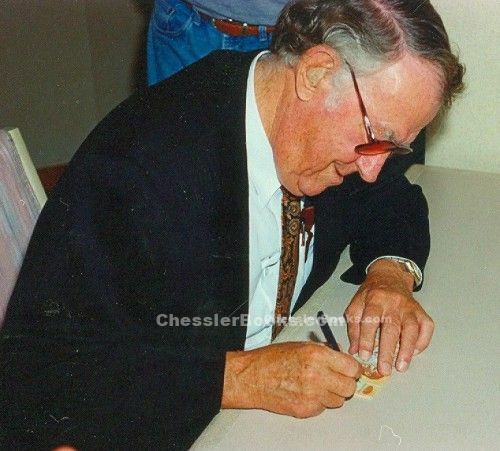 The photo above is the first time I, Michael Chessler, met Sir Edmund Hillary. 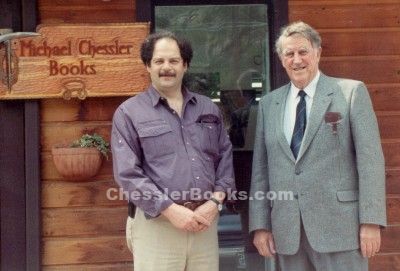 It was in the early 1990s and he actually came to our bookshop, then in Kittredge Colorado. 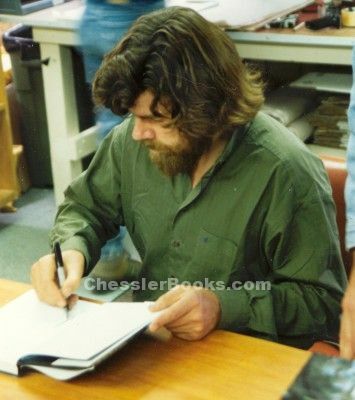 We met with him many times for the next 20 years, when he would autograph books & ice axes for our bookshop. We also went to meet him, in NYC, LA, SF, Banff, and several times to Auckland. He was always very nice to us, and we are proud to have known him. 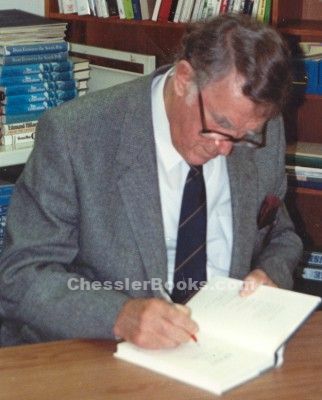 And yes, we made contributions to the Sir Edmund Hillary Himalayan Trust every time we met him. 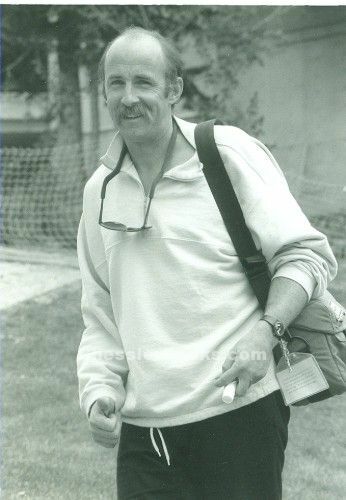 Above is Ed Hillary in Los Angeles in the early 1990s, just after New Zealand honored him by putting his image on the $5 NZ currency. Knowing that Hillary would be asked to autograph the bills, the NZ Parliament passed a law allowing him to do so, because it was defacing the currency! We bought our first lot of $5 bills at the best place to buy NZ money in LA, at the currency exchange window at Pre-TSA LAX of course! In June 2017 the great Tommy Caldwell autographed copies of his new book, The Push, for us, about his free climb of The Dawn Wall on El Capitan, his traverse of the Fitzroy Massif, and his kidnapping during a climb in Kyrgystan. The amazing Alex Honnold in November 2015. Those pitons were all for sale, signed by Alex, on this website. Everything he signed that day has been sold. 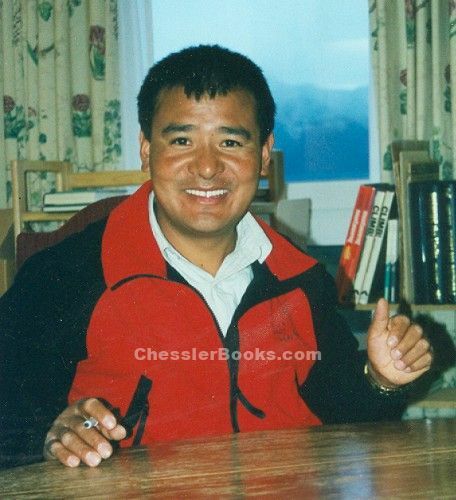 Babu Chirri Sherpa, who held the record for ten Everest ascents, and fastest climb from Bascamp to Summit, under 17 hours. Hot Henry Barber. One of the very few climbers whose personal style and superb ability changed and upgraded how everybody after him climbed. I even adopted a delightful habit of his, that he must have picked up on his famous world tour in the seventies. Emulating Henry, I now sign my name with a British "Cheers. " done in a grand style that reminded one of the British Raj on Tiger safari. The Austro-Hungarian Empire. My wife Heinke Forfota was Hungarian, and Kurt Diemberger is Austrian. They loved to chat in German. Heinrich Harrer, a climber who had the nose for finding the best unclimbed peaks and routes in the world. Also, can you believe, the Austrian golf champion too! the week before the Utah Winter Olympics. 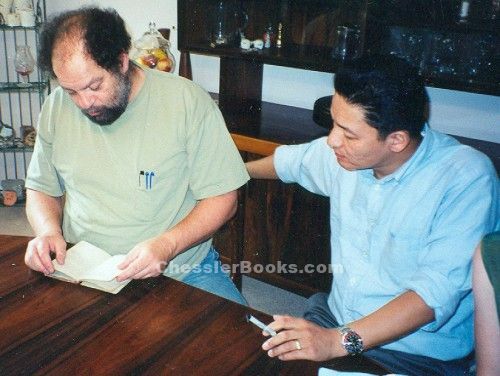 Jamling Tenzing, showing me his father's (Tenzing Norgay) Porter Book. 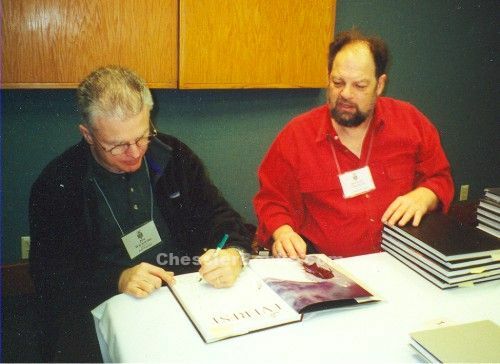 The book is signed by Tilman, Shipton, Ruttledge, Lambert, Denman, etc. I offered him a joking $100 for it. show was the funniest performance I have ever seen! Jeff Lowe. One of America's greatest ice climbers. 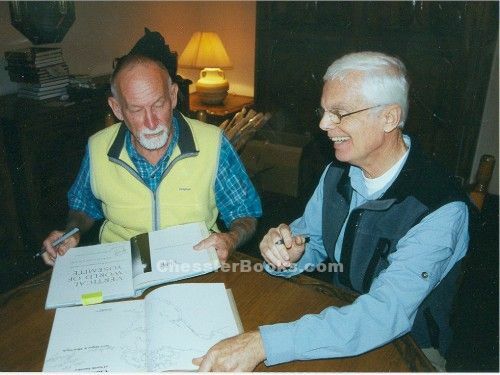 Royal Robbins and Tom Frost. Nothing else needs to be said. Pete Schoening. 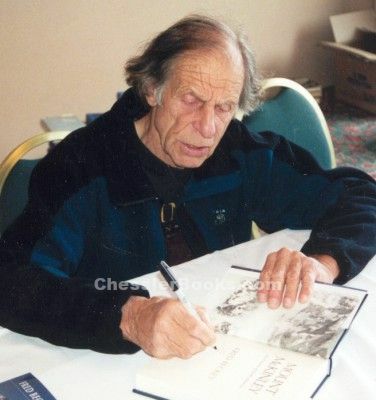 He and Andy Kauffman made the first ascent of Gasherbrum I, Hidden Peak. America's only time making a first ascent of an 8000 meter peak. He also saved his whole team, seven lives in one belay, on K2 in 1953. 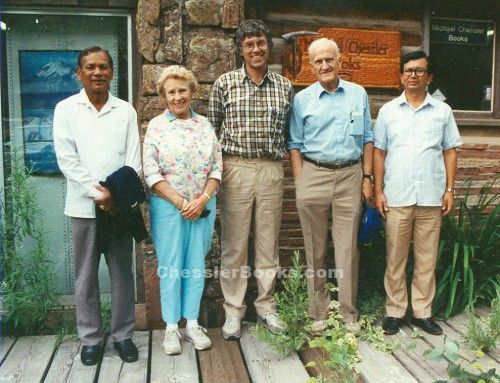 Madhav Lal Tabdar, Bradford and Barbara Washburn, Roger Bilham, Buddhi Narayan Shrestha. 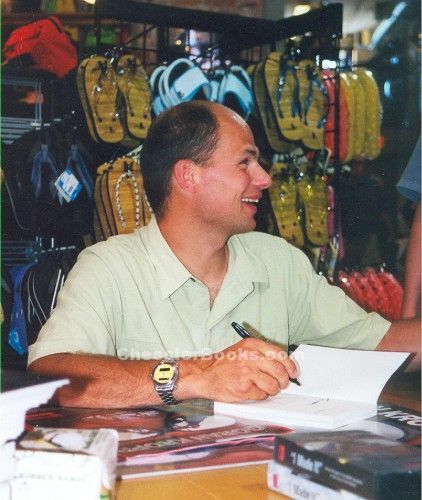 Brad was a legendary mountaineer, pioneer of Alaska climbing. Photo taken about 1989. Barbara made the first female ascent of Denali in June 1947. The man on the left, Madhav Lal Tabdar, was Nepal Government Secretary, Ministry of Land Reform & Management. The gentleman man next to Brad is Buddhi Narayan Shrestha, who was Director General of the Government Survey Department of Nepal. The photograph was taken after the signing of the Memorandum Of Understanding (MOU) between the Nepal government and the University of Colorado, Boulder, to launch the GPS survey in Nepal to strengthen the geodetic co-ordinate network of Nepal. 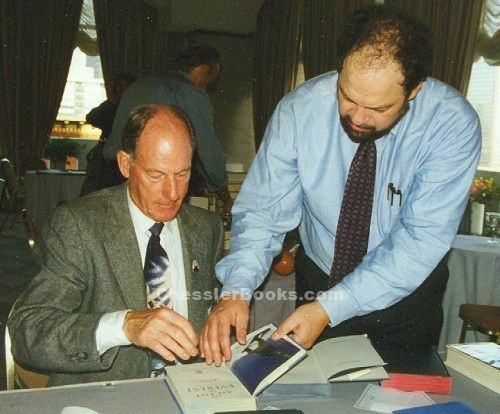 Jim Whittaker, with Michael Chessler. Jim's real accomplishment was being only the 10th person to summit Everest (he says he was 7th! ), not the first American part. 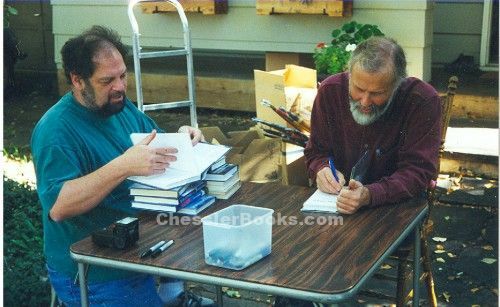 Jim Wickwire, with Michael Chessler. Jim was one of the first Americans to climb K2, along with John Roskelley, Rick Ridgeway, and the strong and silent Louis Reichardt. their life so fully to the brim (and the edge) as he has? David Breashears. A rock climber phenom who made the transition to Everest climber and film-maker. 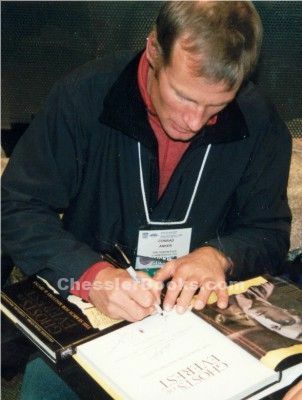 Conrad Anker. 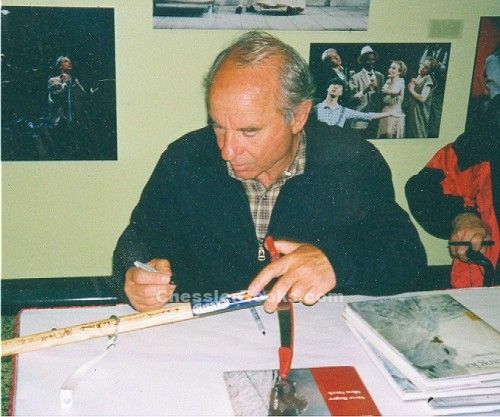 A great rock climber who learned how to use an ice axe and crampons. It's so wonderful to see a self-effacing guy like Conrad become so successful in his business, avocation and private lives. 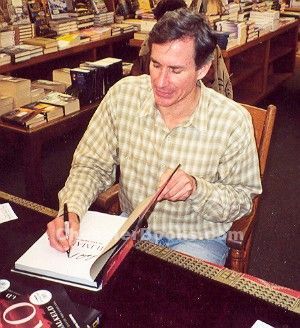 Ed Hillary, in our bookshop in the 1990s. We met with him fifteen times in the 1990s and 2000s. of climbing and the climbing life-style. 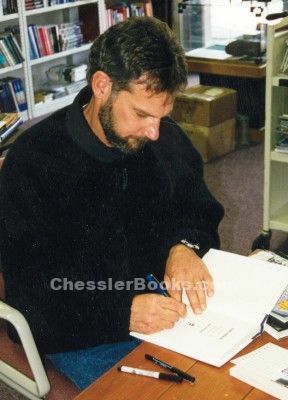 Jon Krakauer. 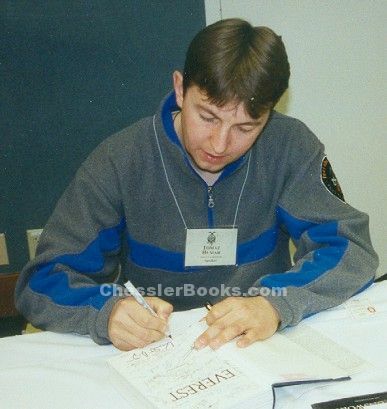 His book Into Thin Air gave an unexpected boost to climbing. Another quiet, self effacing climber who made the big-time. Maurice Herzog. See how he grips a pen with no fingers! 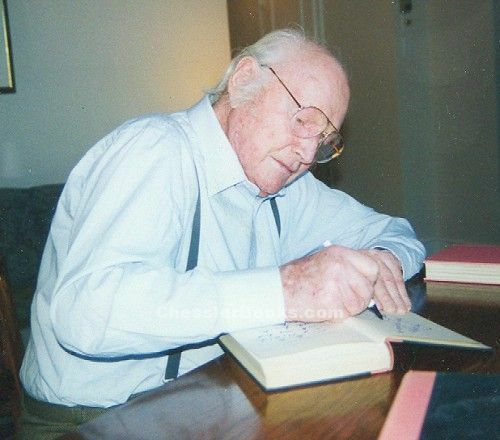 His handwriting was actually be excellent and readable! What a great life he lived!